EG-GILERO is your single-source, trusted partner for design, development and contract manufacturing within the medical device, drug delivery, and primary pharmaceutical packaging markets. Acting as a seamless extension of your own internal resources, we accelerate speed to market of innovative devices from concept straight through commercialization. EG-GILERO is truly different from other outsource partners. Design & Development is in our DNA. Our experienced engineering team provides a full suite of design and development services for your medical device and drug delivery device product development projects. Beginning with the end user in mind, EG-GILERO conducts clinical site user research, novel concept development, smart rapid prototyping, detailed engineering, and intellectual property (IP) management. By adhering to strict design controls and our ISO 13485 certified quality management system (QMS), EG-GILERO integrates human factors engineering (HE75) and design for manufacturability (DFM) throughout the entire development process. EG-GILERO can develop the Regulatory strategy for your product and execute on all of the required elements, providing you a path to regulatory approval. Throughout the product development process, EG-GILERO takes ownership of the regulatory process when you require it. We prepare and maintain regulatory design history files, conduct risk analyses including design and process FMEA’s, and develop packaging and labeling layouts for regulatory related needs. EG-GILERO routinely prepares and submits 510(k) applications to the FDA, as well as technical files for CE Marking and documentation to support new drug applications. 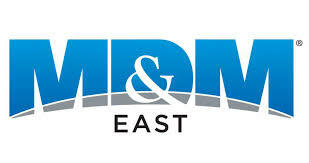 Let us help you with your regulatory needs. EG-GILERO is your trusted Contract Manufacturing partner with a breadth of capabilities and a global reach. 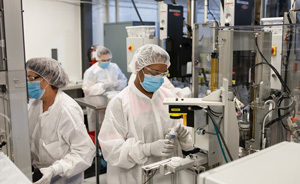 With multiple contract manufacturing sites in North America and Asia, EG-GILERO has established expertise in cleanroom injection molding, cleanroom assembly, and sterile barrier packaging. From manual assembly with low cost labor, to high-volume, lights out contract manufacturing, we have a solution for all of your contract manufacturing needs. 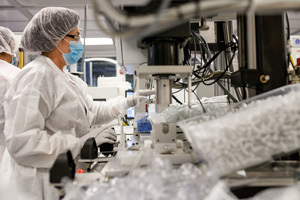 Our sole focus in medical devices and drug delivery devices throughout a product’s entire development and commercial lifecycle, positions EG-GILERO to uniquely provide the clinical and technical expertise you have been seeking in a true contract manufacturing partner. EG-GILERO can drive the Commercialization Strategy of your medical device technology, from defining markets to selling finished medical devices into the clinical environment. Whether you are a single entrepreneur looking to get your medical technology to market, or a large medical device company in search of the next technology to add to your portfolio, EG-GILERO is here to assist. EG-GILERO offers a proven process to facilitate strategic introductions and negotiate favorable terms for the sale, license, or distribution of a medical device and/or drug delivery device technology. 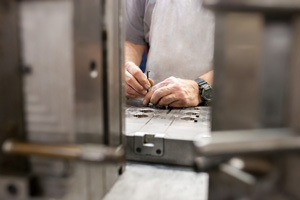 Our in-house Tooling capabilities are unique and unparalleled in the industry.EG-GILERO’s tooling capabilities range from single cavity, pre-production, fast development molds to high cavitation, valve-gated hot runner systems. EG-GILERO’s U.S. and China molding locations are staffed around the clock to meet varied customer needs of project timing, costs and complexity.